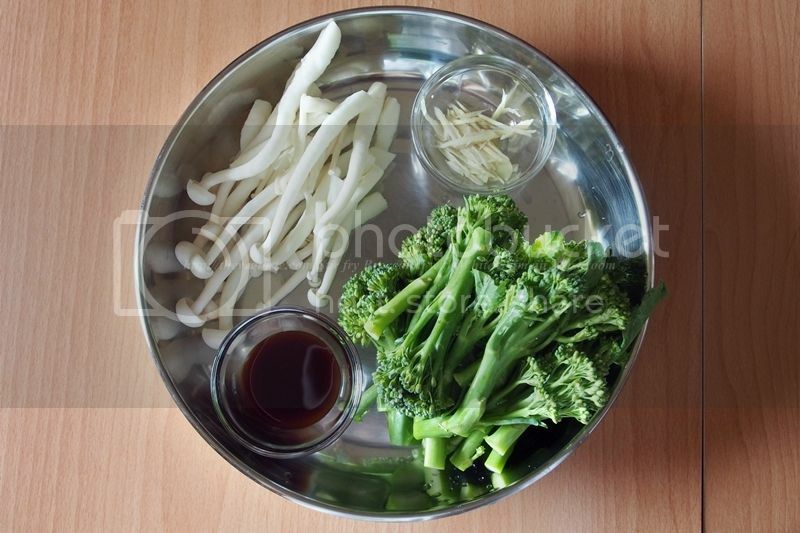 1 package (250-300g) of Broccolini – trim stems and any excess leaves, rinse off, set aside. A handful of white shimeiji mushroom – rinse off with water, set aside. Ginger – cut into thin strips. Heat wok with cooking oil follow by ginger, stir fry ginger till fragrance. Add the broccolini, stir fry for few second, sprinkle some water to keep moist. 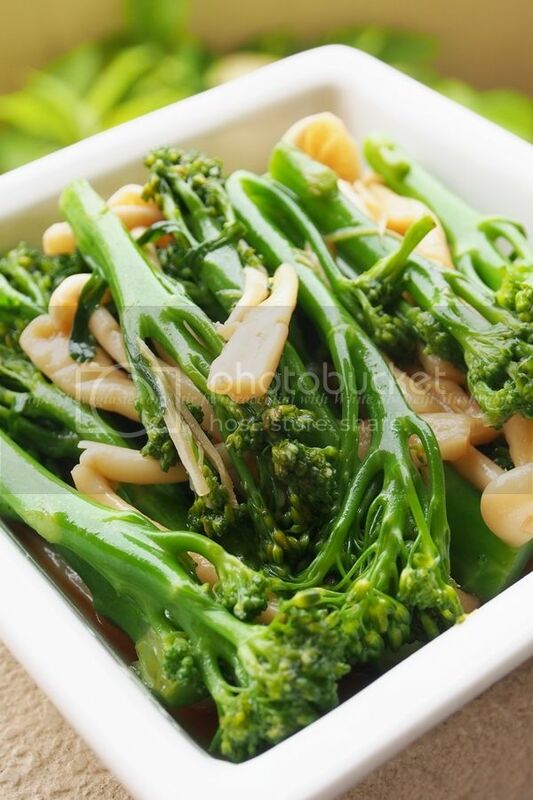 Add white shimeiji mushroom, continue to stir fry until the broccolini stems are crisp-tender and shimeiji mushroom start to soften; release some liquid. Add mushroom sauce, stir to combine. Dish out.